It was the little things that westernized the Chinese food at that 1970s eatery in Kamloops, like soya sauce in the fried rice, the wrong egg noodle for the chow meins, and ketchup in the sweet & sour sauce. However it still had the spirit, look and characteristics of Chinese Food. According to my dad, the locals loved it. I think in part it did taste good and they didn’t know it wasn’t traditional Chinese. Access to food information to authenticate whether something was prepared in a traditional manner was not readily available back in the day. As a result, Chinese Canadian eateries doled out a Westernized Chinese Food to unsuspecting Canadians for years before they became wise to the “deception”. Well, that type of “deception” would not fly in the present and why I’m writing this post. I got the wool pulled over my eyes and I couldn’t believe Fresh Bowl could think they could get away with it! I volunteered to pick up lunch for my office. Perhaps it was an omen of things to come when our Plan A and B were still closed for the holidays. After a quick conference call, we decided on Fresh Bowl on Pacific boulevard as a Plan C.
Essentially Beef Rendang is a spiced beef stewed with coconut. 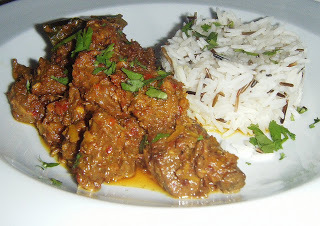 From my research, depending on which region of Southeast Asia the Rendang is from it can be drier or wetter. The Malaysian one is typically wetter. Or perhaps the rendition Fresh Bowl has on their website (see below). 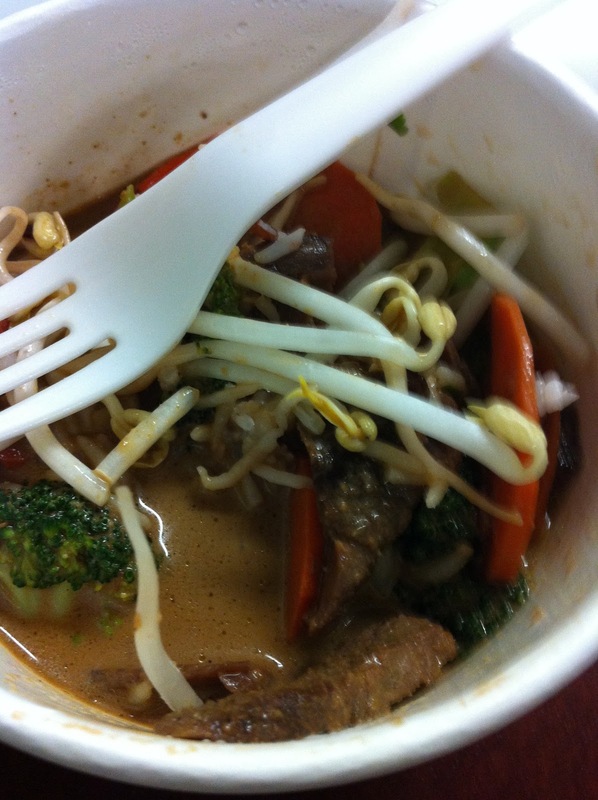 Nope, what I got was sliced beef and broccoli with a coconut sauce, similar to stir-fry dishes at a Chinese food court place. At first my co-workers thought maybe the staff had given me the wrong item. 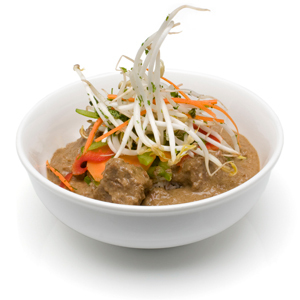 A quick check on the Fresh Bowl website, reveals that Beef Rendang is the only dish they serve with beef. I got the correct order. The beef was discoloured, chewy and had no flavour. The sauce just tasted like coconut milk and was watery. So not only did it not look remotely like Beef Rendang, it was also “cooked” very poorly! I was not impressed and pretty angry. Did Fresh Bowl really think they could pass off what I got as Beef Rendang?? The beef was sliced for Pete’s sake! It doesn’t even look like the picture on their website which had chunks of beef. Honestly, I didn’t have high expectations for this place since it was Plan C. If I had just gotten a dish with chunks of beef in thick coconut sauce even if it was mediocre and bland, I don’t think I would have written about Fresh Bowl at all. It would have been another meal that filled the hunger gap. I don’t mind restaurants experimenting with traditional dishes but it at least has to taste good and have some characteristics of the original. Even those serving Westernize Chinese did that. 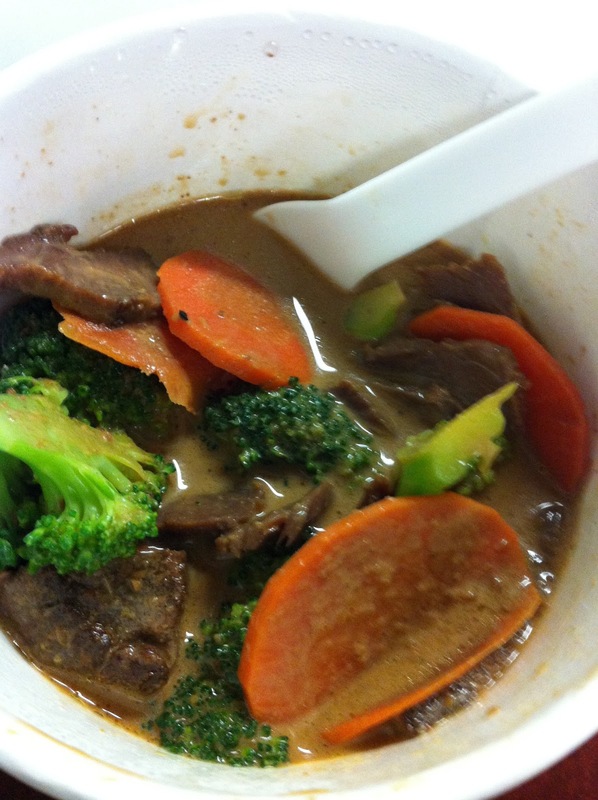 The Beef Rendang at Fresh Bowl was a complete disaster. If you can’t prepare a dish at an acceptable level consistently I would suggest taking it off the menu. Previous Post Food for Thought: Why the F@#$%&#($*%&* do some people think Big Portions EQUALS good FOOD/EATERY!!!!!!!!!!!!!!!! !